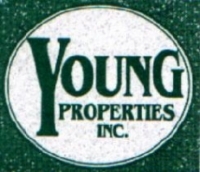 President and Principal Broker of Young Properties, Inc.
State appointed Chairperson for the Oahu Eviction Board "C"
of Hawaii Public Housing Authority. Sylvianne entered the real estate profession in 1979 and for seven years held the position of Managing Broker for a national franchise company. In this capacity she was merited with several national and local awards for outstanding sales. In 1992, Sylvianne took on the greatest challenge, opening her own real estate firm. Since 2007, she is currently a Chairperson for the Hawaii Public Housing Authority, Eviction Board "C" as a volunteer. Our team of professionals offers experience, knowledge and trust, who are dedicated and qualified to provide their clients with quality service and expertise. Our agents are bilingual in JAPANESE, AND SPANISH. They are high caliber professionals with diverse backgrounds in Marketing, Advertising, Property Management, HUD Program, Foreclosure, REO sales, Commercial and Residential Sales. Our office is fully equipped with an integrated network of computer and communication systems. We have instant access to all the Multiple Listing Services, Public Record Searches, and other resources that our agents use to better serve you. Our friendly office staff will be happy to assist you with any questions or inquiries. Please leave us your NAME and E-MAIL address, and your call will be handled promptly and courteously. Call today (808) 596-8777 or email us at www.youngprop@aol.com to schedule your appointment. We look forward to serving you!